As Britain battles an obesity epidemic, scientists have found that the effects of being overweight have so far been underestimated. According to the new study, which analysed body mass index (BMI), health and mortality data in around 60,000 parents and their children, being obese radically increases the risks of early death. A team from the University of Bristol investigated the causal link between BMI and risk of death. Using existing data they found that being overweight was even more harmful than previously thought. The current advice from doctors to maintain a BMI of between 18.5 and 25 was supported by the new study. Dr David Carslake, the study’s lead author and Senior Research Associate from the MRC Integrative Epidemiology Unit (IEU) at the University of Bristol, said: “An alarming increase in obesity levels across the world which have risen from 105 million in 1975 to 641 million in 2014, according to a recent Lancet study, create concern about the implications for public health. Britain’s obesity ‘timebomb’ has been blamed for sharp rises in Type 2 diabetes and other serious health conditions. 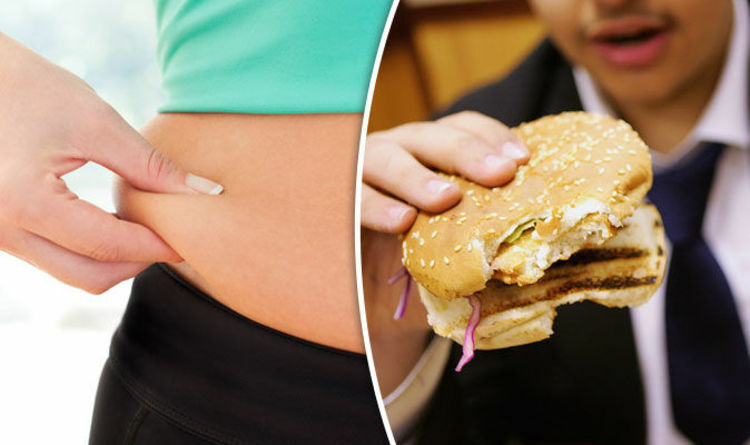 Latest UK figures show that some 67 per cent of men and 57 per cent of women are now either overweight or obese. But the problem is also becoming acute in children. In the UK, some 19.1 per cent of children aged 10-11 are now obese and a further 14.2 per cent are overweight. Of children aged four-to-five, 9.1 per cent are obese and 12.8 per cent are overweight. A third of 10-to-11-year-olds and over a fifth of children aged four-to-five-are too heavy. The new study is published in the International Journal of Epidemiology today.